Joshua Seidman, Esq. is a seasoned litigator and business / transactional attorney with over ten years of experience practicing law. He is a graduate of Brooklyn Law School and SUNY Binghamton University. He began his legal career in 2007 as an attorney with the New York City Law Department, Corporation Counsel, Manhattan Trial Unit. Mr. Seidman has litigated several complex cases on behalf of Plaintiffs and Defendants in both Federal and State Court, including matters involving personal injuries, insurance defense, and commercial disputes. 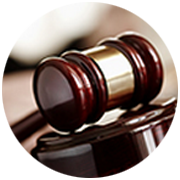 He has a proven track record of successfully handling a high volume of cases. Mr. Seidman has also maintained a private practice commercial transaction and business development practice since 2009, representing a wealth of prominent clients in the fashion, arts, music, sports, and entertainment industries, in addition to several insurance carriers and corporate for-profit and non-profit entities. Josh is currently an admitted attorney in New York State and Federal District Court, in both the Southern District and Eastern Districts of New York.